This week the Robots chat one last time with Justin before he heads off for a much needed sabbatical. 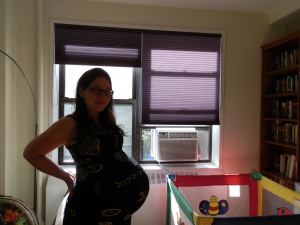 He started the podcast over six years ago, and he’s glad that it will continue in his absence. The Robots are dead, Long Live The Robots! And let’s all welcome Scott Roche to the podcast! He will be taking the infamous third chair. Here’s hoping it doesn’t blow up as it has before. This week Paul and Justin help Terry brainstorm his thriller idea about covert agents, terrorists, explosions, and traitorous politicians. If you have any ideas for him, head over the FB page and let him know! Enjoy! I’m a little late in posting this, and for that I apologize profusely, but Eliyanna gave birth to her twin boys at 12:46 on September 27th. Leo James Kaiser was born 6 lbs 2 oz, 19.5 inches, and Hugo Logan Kaiser was 6 lbs 7 oz, 20 inches. I kept waiting for pictures before I made a post, and getting those took longer than I thought it would (in this day and age of everyone having a digital camera in their pocket, can you blame me? 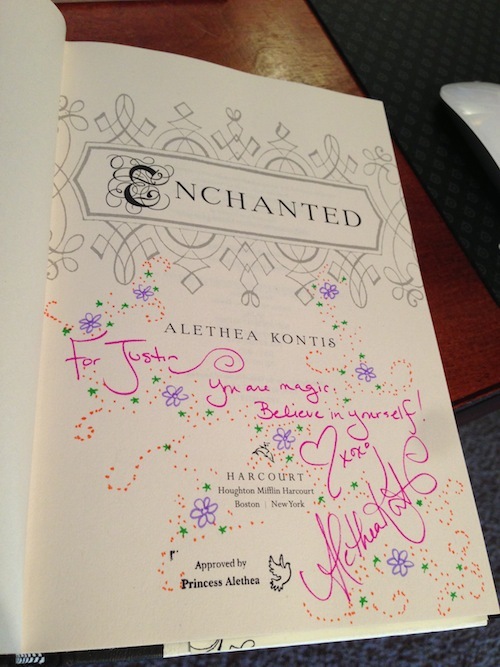 ), but Eliyanna finally had some made, and I have to share them with you. 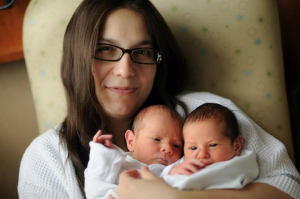 And this is Eli with her two babies! 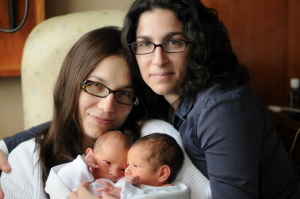 This is an amazing picture of Eli, the babies, and her wife, Danielle. And here are the boys! 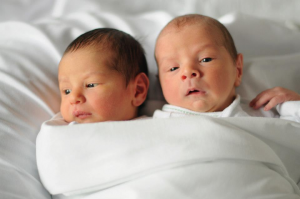 Leo is on the left, and Hugo is on the right. Click on the pictures to see high res versions in all their baby wonderful glory. 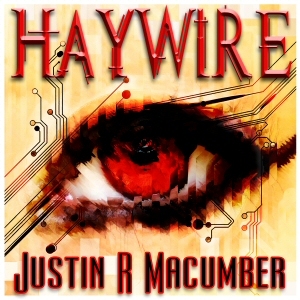 Justin’s HAYWIRE releases March 13th! How’s that cover, huh? 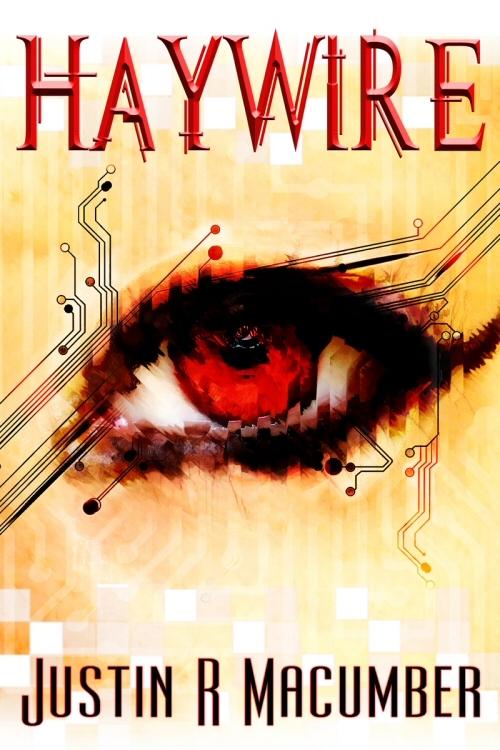 Because HAYWIRE is being published by a small press, I had more control over what my cover would look like than a lot of other authors would, and I knew my brother — who’d worked on previous covers for me, all to my delight — was up to the challenge. What do you think? Do you like it? Please let me know. Also, the book will be releasing on March 18th in both print and ebook versions. You won’t be able to just walk into a store and see it on a shelf since Gryphonwood is a smaller press, but you should be able to order it at your local store, as well as online. I hope that you do, and that you contact me to tell me what you thought. I’m really excited. Are you? 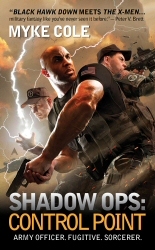 When I think about spellcasting, wizards, and far-flung magical lands, the next idea to jump into my mind usually isn’t the US military, but luckily for all of us author Myke Cole made just such a connection, and his debut novel SHADOW OPS: CONTROL POINT is the result. One part J.K. Rowling, two parts Tom Clancy, CONTROL POINT is a taut military thriller, but instead of guns and terrorists Mr. Cole fills his story with humans bursting with magical powers, powers that spring from a distant world that could be our salvation, or the source of our destruction. And, unlike most urban fantasies where magic runs wild in the streets, unconstrained and unregulated, Mr. Cole — who has a deep military background himself — brings his unique perspective to the genre and shows us a world where the government has clamped down on all magical activity, and where those who have the ability to wield fire, air, and earth are pressed into serving the United States armed forces. Can such power be contained? Can beings who control the very fabric of reality be controlled? These questions and more lie at the heart of SHADOW OPS: CONTROL POINT, and the answers will blow you right out of your seat. I thoroughly enjoyed Mr. Cole’s debut novel, and if you want to see what happens when “Lord of the Rings” is smashed into “Clear And Present Danger,” buy his novel and join the excitement. You won’t be disappointed. SHADOW OPS: CONTROL POINT will be available in print and on the Kindle January 31st, 2012.